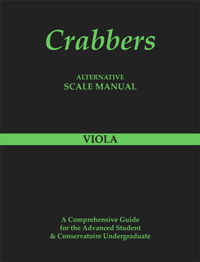 There are a number of questions that need to be answered regarding the level of viola tuition and when most effectively to introduce the Crabbers Scale Manual. Scale Manual with their student? poor positioning of the thumb when ascending or descending. 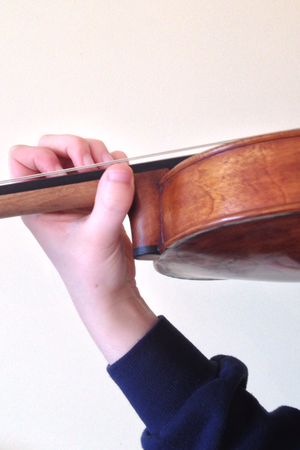 Teachers invariably have students who either don't like to play scales during their viola lesson, or students who find the preparation of scales challenging. 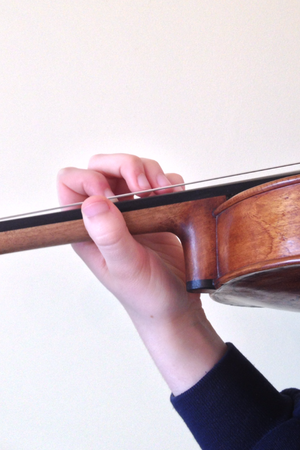 Scales should be a basic requirement with all viola tuition. They are also a requirement with the examination boards, so it is essential that scales be covered during viola lessons on a regular basis. The viola teacher who becomes familiar with the system will also benefit considerably from using the manuals. Practicing one key per day (twenty minutes) warming up before taking viola classes, is the quickest and most successful way to maintain their own technique, and will enable them to play most of the disciplines within each key. At what standard should the student begin using the scale book in their viola lessons? Students who have attained the level of grade five or higher may begin using the Crabbers Scale Manual. Then they will benefit from the systems style and content with some of the easier scales. As there are three octave scales with the grade five Associated Board and Trinity Guildhall exams, the manuals could be started at this entry level. However, the system will become more effective in more advanced viola lessons. One of the benefits here may be that the student finds learning scales from a less cluttered page, and the different format, less daunting. It may be they then realise that scales are not so difficult and so take the trouble to learn more scales sooner, as they appear easier! Students grade six and above, and undergraduate conservatoire students who find scales challenging, will find the alternative method easier especially with the scales in thirds and sixths. Will using this method inhibit the normal standard way of practicing scales/notes on stave lines? As the student will have been learning for a number of years with standard notation there should be no concerns here. This new method of learning will improve the students over-all playing facility. More scales may be undertaken due to the efficiency of learning using this style, and the focus such a manual introduces.